Alkaline Ionized Water seems to be an extremely hot topic these days! I've just completed two days at the Victoria Health and Wellness Show... I was there to Speak About Bottled Water vs tap water, Alkaline Ionized Water and the many manufactured beverages that we now see on our grocery store shelves. I knew it would be busy but the experience was in fact absolutely insane... we were relentlessly bombarded for two days by hundreds of people who asked me what I thought was the best drinking water? The internet is a loaded with water information and yet people are more confused than ever, I walked away from the event understanding that people clearly just want the truth, lives are depending on it! We're beginning to understand the benefits of drinking water daily but we're confused and simply asking what is the Best Drinking Water? Alkaline Ionized Water was something I knew absolutely nothing about even with nearly two decades in the Groundwater industry, in fact it would've been more typical of me to deem it some kind of snake oil without having the all the facts had I not decided to investigate. Yes, I know... that's pretty closed-minded, but I did decide to just take a look! I was introduced to Alkaline Ionized Water 4 years ago. Prior to that I was an enormous advocate of bottled water, so much so that I even built a Bottled Water Store in Mill Bay, designing and constructing a large Reverse Osmosis System for processing the bottled water in our community. That was several years back when there was little controversy regarding bottled water vs tap water... There was a huge movement towards bottled water at the time. I seen it as an ideal opportunity to contribute by building what I understood to be the best life-support quality water system for our community. When I constructed the Mill Bay Water Store I was not educated with the facts and had I been the water store would've never been been constructed. Rarely is a Bottled Water Store necessary or a true benefit to a community... It's simply a privately owned utility which processes, manipulates and strips minerals from drinking water then reselling the publicly owned and taxed water back to it's own community with little knowledge of how the processed bottled water may actually be affecting public health. Grocery store water dispensers are the same, simply scaled down with a few less bells and whistles. 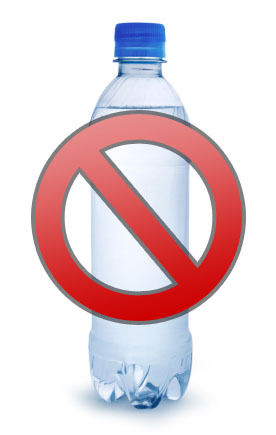 In Canada bottled water facilities are primarily unregulated provided they're connected to an approved potable water source. After many years of drinking bottled water my health was struggling and I finally began to question the true effects on my body and discovered I had been drinking my own Kool-Aid for far too long! I was injured in a car accident over nearly 7 years ago, an accident which I should have more easily been able to recover from. Along with that I had a number of other health issues. I was sick... I was in constant pain, struggled with horrendous inflammation throughout my entire body, I had ongoing gallbladder issues often leading to attacks (it was suggested that the gallbladder be removed), breast cancer was always on my mind as my breasts hurt all the time, I was unable to sleep and if I did it was just for limited periods of time... my body would wake me up after a few hours because I was just so sore. Because of the chronic pain I became quite antisocial and most of the time knew I was depressed. I felt very anxious, uptight and felt short tempered... I could not focus and lived with a lot of head fog. I was the person that everyone knew as someone who had always taken great pride in maintaining excellent health... extremely careful with diet, not smoking and never consuming alcohol. I was told it may be chronic fatigue, I was told it may be fibromyalgia, I was told I may just be depressed and I should take some antidepressants, I was put in pain clinics for extended stays, thousands of dollars was spent on all kinds of therapies, my husband and I have over $15,000 worth of far-infared equipment in our home that was purchased hoping it would help me... I think we own every device known to man! After all that, all the doctors all the wasted money and nearly 5 years of chronic pain we discovered that I only needed to change my drinking water! 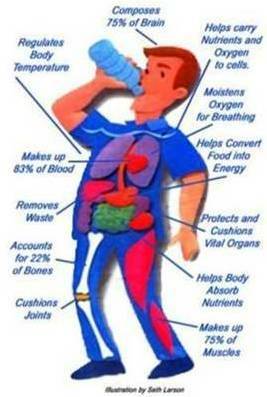 Processed bottled water was responsible for much of my past condition, without doubt! Nearly 4 years I accepted the possibility that I just might be wrong... I've discovered that I was. Yes, I'm pretty good at building and designing water treatment systems, reverse osmosis systems and water store treatment plants but that doesn't mean they should be built! Today I think long and hard before I agree to design or build anything. I'm of the opinion that there are simply no benefits to bottled water, in fact I'm of an even stronger opinion that de-mineralized bottled water may be extremely detrimental to human health. After switching from bottled water and strictly drinking alkaline ionized water for the past few years health has turned around sustantially... I no longer look or feel like the walking dead, that's for sure! Since strictly drinking Alkaline Ionized Water my general health is better than it was even prior to the car accident, remember I had been on bottled water long before the car accident. The gallbladder problems are non-existent, I no longer suffer near as much with pain or inflammation. Ladies it's not normal to have your breasts hurting all the time, but we often just quietly accept it. Although my recovery may seem remarkable I feel what's truly remarkable is that we're not questioning why we've become such an ill society? Why are we so focused on improving nutrition? My view on this is completely different I no longer purchase bottles of nutritionals, I just don't need them! So why are we focused on nutrition so much more than the water we're consuming? We are simply vessels of water and our organs may be trying to exist in a toxic and acidic body of water. I've been gathering information and researching for 4 years, I've spoke with a few hundred people about Alkaline Ionized Water, I've listened to heard one remarkable story after another and now have a couple hundred Alkaline Ionized Water Machines in our own rural community... many belonging to families who have been my clients for years, it's been interesting to observe their progess. Today, I see tremendous value in dedicating time to Publicly Speaking about the potential ill effects of bottled water and the benefits of alkaline ionized water. If you're not well yourself and concerned about your own health, you may want to consider alkaline ionized water. At least take a long look at the water you're drinking, in most cases municipal tap water is better than bottled water for a number of reasons. If you're not interested in investing in an Alkaline Water Machine and you're questioning bottled water vs tap water... if I absolutely had to I would definitely choose the tap water over bottled water providing it's at least not contaminated and deemed potable by a certified lab with all chlorine/chloramines removed. As far as I'm concerned Alkaline Ionized Water should only be processed from a Medical Grade Water Ionizer, there are a lot of ionizers on the market, you really want to do you homework prior to purchasing. It doesn't matter which country I'm traveling my alkaline water ionizer travels with me, easily and connects almost anywhere. My husband does not travel far without water machine either, he has worked at sea for 35 years... As a Captain he has significant stress, his Alkaline Water Ionizer has made a significant improvement in his sea life and easily installs in his cabin. When he returns home he no longer looks as exhausted and needing several days to recover from his trip. I am EOCP Certified in British Columbia.